There’s a lot to fear around the world at this particular moment in time, and we’re not just talking spiders and snakes. There’s the ongoing fear of your kids getting shot while they’re attending high school. There’s the newer fear of coming in contact with a deadly Russian nerve agent while you’re out on the town. And there’s the brand-spanking-new fear of having a just-built, 950-ton bridge collapse while you’re driving under it. And now, thanks to the new Steven Soderbergh–directed fright flick Unsane, you can add the universal fear of being unjustly committed to a mental institution to the list. Claire Foy is perfect as 20-something financial analyst Sawyer Valentini, whom we first meet while she’s getting “what a weirdo” looks from coworkers at the office. Turns out that she has recently arrived in Pennsylvania after fleeing Boston, where she was traumatized by a relentless stalker. She’s trying to make the best of her new environment, but finds it difficult to find friends—or lovers. A Tinder hookup, which she wants to be just a one-night stand, doesn’t even get that far before she imagines the date is her stalker, flips out, and locks herself in the bathroom. Seeking help for her emotional distress, the strung-out woman visits the Highland Creek Behavioral Center, but when a counsellor there decides that Sawyer “poses a danger to herself and others”, she is forced to stay at the facility for a 24-hour observation. The place is actually running an insurance scam, though, so management is pleased when Sawyer’s frazzled, live-wire persona soon gets her upgraded to a one-week stay. Things don’t get any more promising when she discovers that her old stalker (The Blair Witch Project’s Joshua Leonard) is a nurse on the psychiatric ward. Or is she just imagining that part? Shot entirely on iPhone, the film has a grainy look and realistic vibe that help intensify the spiralling desperation of its ill-fated protagonist. 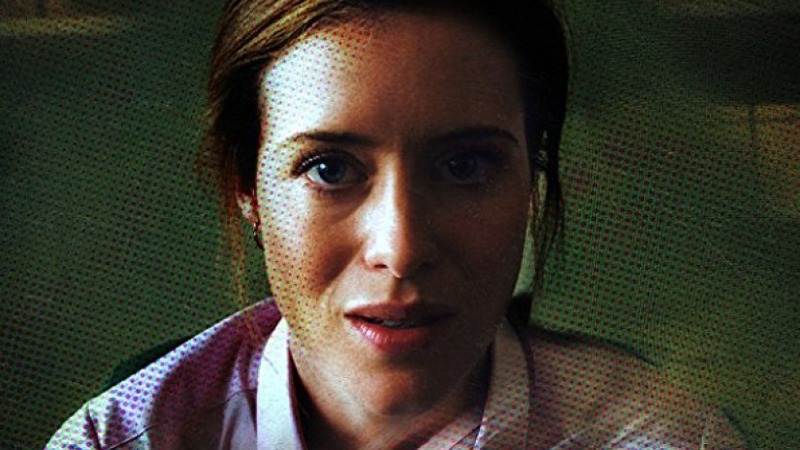 Apart from one dubious scene in a padded cell, Unsane is hugely entertaining and crazy good, one of the best psycho-thrillers I’ve seen in years. That it’s also an indictment of America’s incarceration-for-pay industry and a thumbs-up to the thriving #MeToo movement is just a bonus.